The professional touring companion made from PU coated Cordura. GPS or other touch screen mobile devices can be safely stored inside the lid, and easily operated through the transparent waterproof window. Opening the magnetic closure lid is fast, easy and single-handed. The main compartment is subdivided and includes a zippered internal valuables pocket and a key-holder snap hook. Padded removable Velcro dividers allow flexible positioning. 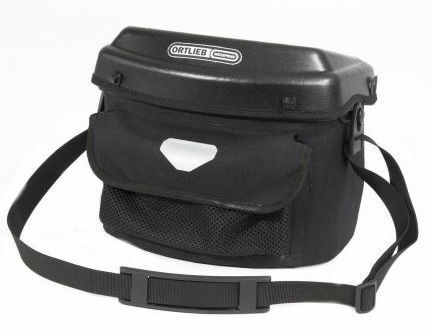 The waterproof bar bag can be carried with the removable shoulder strap. The Ultimate6 Pro offers double anti-theft protection; once fixed to the handlebar the lid can be locked with a single turn of the key and the bag itself is locked to the adapter with the integrated lock.